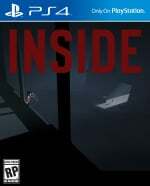 The spiritual successor to the equally macabre Limbo, INSIDE takes you on a trippy tour through a harsh facility intent on taking your life. The end-game revelations here are both ridiculous and repulsive, and piecing together the narrative while simultaneously solving the indie adventure’s puzzles makes this release a real standout. It never got quite the marketing push that it probably deserved, but The Evil Within 2 is considered something of a cult classic these days. Set three years after the events of the first game, the sequel is much larger in scope than its predecessor – an impressive achievement considering how horror games generally rely on enclosed areas in order to ensure you always sees exactly what the designers want you to see. Of course, the larger size leads to more gameplay variety, where you can choose to tackle objectives as you please – and even venture off the beaten path. This is a much improved sequel which, rather than re-tread soiled ground, instead finds its own footing. 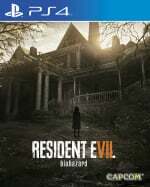 Resident Evil needed a change after the dismally disappointing Resident Evil 6, and the brilliant Resident Evil 7: Biohazard hits highs seldom seen in the series since Resident Evil 4. While it starts stronger than it finishes, the butcherous Baker family make for frightening antagonists, and their Louisiana mansion makes for a fantastic backdrop for your escape attempts. Played on either a standard television or with PlayStation VR, this release balances the first-person hide-and-seek format of more modern horror titles with the out-and-out action of recent Resident Evils, making for a highly enjoyable campaign. Remakes don’t get much better than this, do they? Resident Evil 2 is a meticulously executed resurrection of Capcom’s classic 1998 survival horror, once again putting you inside the blood-stained shoes of rookie cop Leon Kennedy and flame-haired sibling Claire Redfield. The new over-the-shoulder perspective brings a different dimension to the Raccoon Police Department, while the tense exploration driven gameplay is retained from the original. It’s heavily inspired by the cosmic horror craziness of H.P. Lovecraft’s iconic Cthulhu franchise, so while Bloodborne isn’t a traditional spook-fest, it definitely deserves its place on this list. With some truly warped enemy designs and a frightfully steep learning curve, Yharnam’s cobbled districts delight and disgust in equal measure. Those crows, bloated after overindulging on the flesh of decomposing corpses, are not safe for life. There could be no other winner really, could there? The Last of Us Remastered’s depiction of a post-pandemic United States is both harrowing and surprisingly packed with human interaction. Seeing how mankind copes with the threat of a devastating disease is one of the highlights here, and while Joel and Ellie’s platonic relationship takes centre stage, it develops within the confines of a landscape levelled by death and decay. Agree lots of good games here but Evil Within 2 should be on the list. I don't think you played it Sammy? I'd rate it over Resi 4 these days. And I wouldn't have TLOU at number 1 myself. My top 3 would be..
Bwah ah ah ah ah ah ah ah ah ah! I love you guys! I'm gonna tell my doctor I don't need sertraline anymore. I haven't played a lot of the games here but I agree with @kyleforrester87,Evil Within 2 is by far my favourite horror game and I'm shocked it hasn't been mentioned.Defiantly would of had that game or Resi 7 over The Last Of Us. And Everybody's gone to the Rapture as a horror game?That game bored me to tears! Until Dawn is great. Probably the best game I've picked up through PS+ on this generation. Rapture is one of the greatest games I’ve ever played. Once you get past the ‘walking simulator’ feel it’s genuinly disturbing. Listening to an old telephone conversation of a woman taking to her husband and saying ‘oh darling, a load of jets have just flown over’ with those very same jets being the ones that are used to ‘quarantine’ the village gave me the same feeling as I got when I watched the film Threads. No jump scares, no monsters, no gore just disturbing phsycological horror at its finest! i realy would not call TLOU a horror game. a drama thriller for sure but not horror. and no evil within 2? @gingerfrog @jdv95 yeah I can't really call TLOU a horror game either. Weird because in principal it contains all the elements but it never felt remotely scary. I guess the same could be said for certain sections of the recent Tomb Raider games. @kyleforrester87 I agree, Evil Within 2 was really good. With RE4, I had that game on pre order when it first released on the gamecube and even at the time I think it really loses direction towards the end, the shooting gets relentless and the horror drifts away. I did buy it again on PS4, but Ive not been compelled to finish the game. @AFCC would have been THE horror game of the decade if it was not canceled. that fetus in the sink was realy a WTF moment. i'm actually let down that kojima decided to leave PT as is,and started making death stranding. sure the silent hills IP still belongs to konami but maybe hideo could just make it a different IP. The Last Of Us is not horror in my book (it's also really overrated in general). I'd add The Evil Within 2, like many others, and also Resident Evil: Revelations 2; that game doesn't get enough love. Any way to have mobile mode again? I'm not normally that keen on horror, but I did love Until Dawn. A lot of these aren't even horror games, just vaguely dark in terms of subject matter. Although I could see that stellar looking remake of Resi 2 making the list, if it turns out as good as I hope it does. @AFCC I did just try it on my iPhone and it worked, I don't see why it wouldn't to be honest - does it ask you to log back in again after clearing? A bit annoying there isn't a button on the homepage to click! 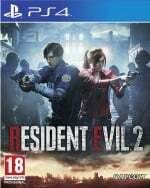 @Ralizah Resi 2 will be straight to number 1! Prey, and Resident Evil Revelation 2. @Bonbonetti Detention is a surprisingly great adventure game. Although some of the horror elements felt a bit forced. In terms of the symbolism, narrative, etc. though? Utterly compelling. @kyleforrester87 The first REmake was a masterpiece, and is still one of the scariest classic Japanese survival horror experiences to this day. I've played my Gamecube copy countless times over the years. Funny, considering I've never been a huge fan of the original PS1 version. They're like completely different games in terms of atmosphere. As others have mentioned, definitely needs The Evil Within 2 on this list. And how about Lone Survivor: Director’s Cut? That’s one creepy game. Horror games? Luvs em! @stupidget Great shout on Threads. The fact it’s structured somewhat like a documentary, doesn’t have any Hollywood glamour, and is based on a scenario that could very easily happen (even more so at the time it was made), makes it probably the most disturbing and scariest film I’ve ever seen. I loved Everybody’s Gone to the Rapture too. Interesting list. I wouldn't really class TLOU or Inside as "horror" either but they do both have their moments. Anyone remember the game: Amy? Soma "this unsettling underwater adventure is all about human consciousness and the attributes that determine life. It’s a topic that’s been done to death, admittedly "
Done to death?! Can you name some ps games because i cant think of any off the top of my head. no evil within 2? even evil within 1 is a ps4 game, choose both game over re4 which is more like an action game. until dawn and re7 are my fave horror game, tlou being my most favorite game of all time. btw remothered is coming to ps4 right? The last of us may pass as a horror game but it's not great at that or a good game in general if you ask me. Otherwise a great list. Alien Isolation, RE7, Layers of fear and SOMA (more creepy sci-fi than horror) being my favorites. Yeah, and The Evil Within 2 should be included. Maybe even in top 10. VR Is great for horror games adds another level to the scares. Would add Dont Knock Twice and Rush of Blood to the list. Has Pushsquare got shares in Everybodys Gone to the Rapture? It crops up in all their lists but it's so boring isn't it? Evil within 1 and 2 are awesome.little nightmares is more horror then everybody gone to the rapture imo. @AFCC clearing the cache will delete all your saved user names and passwords so you have to log back in to all your websites and accept their disclaimers regarding cookies etc, you must not be doing it right unfortunately? Perhaps there is a sub-setting you can change which chooses what information is deleted when you clear your internet settings. But seriously I got it to work! I was just being dumb! Thanks for the help!! @AFCC No problem, i heard someone else on here before have the same problem clearing the cache on a Samsung, not sure why it's so difficult! The Evil Within 2 is an amazing game, certainly more so than Soma which I was very disappointed by. I need the Evil Within 2. It could be a great Halloween game. Bloodborne early on caused me to be more scared of an enemy in a game than anything else I've ever played. I remember trying so hard to find a way around when there were two werewolves, which just seemed absolutely impossible to tackle. I actually accidentally skipped the first boss because of it. 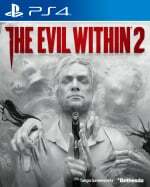 Evil Within 2 a fantastic game that didn't get anywhere near the praise it deserved. I'd have Dragon's Dogma: Dark Arisen on my list because there are some nasties on Bitterblack Isle and it's creepy as hell. Almost there. Last year Bloodborne wasn't even on the list, but luckly someone let you notice that it was a weird thing. @MadAussieBloke What's wrong with Outlast 2? Surely is over the top most of the time (mission objective: survive your crucifixion!) but the atmosphere is still great, imo. people saying the last of us is not horror must not know the definition of said word. Where are Alien Isolation and Prey? I have a ps4 with PT. £1500 ono. 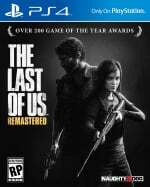 The list is pretty good, but I'm in the "is tlou really a horror game?" camp. Survival, yes. Horror, meh. I think Resi REmake should make an appearance but that's just me. as others have said dont understand why last of us is number one as its not a true horror game and evil within in 2 and alien should be in the top 3. Anyone got an opinion on Remothered: Tormented Fathers? It came out a few months ago I think and went totally under my radar. Watched the trailer the other night and it looks pretty freaky! Alien Isolation is probably the scariest game on this list. I swear this is the only game where I actually sighed in absolute relief when the end credits rolled. Terrifying through and through. The game got everything so right in the scary department that I don’t know if I will ever have the strength to play it again! Last if Us never felt like a scary game to me. The concept fits the horror genre, but the game is so much more focused on character relationship building than actual horror. More The Walking Dead and less Night of the Living Dead. Bloodborne’s scariness is more with it’s tense combat. Sure the enemies are grotesque, but it feels more like avant garde horror - great game, though! All-in-all a great list. I own a good amount of this list between my various consoles. I’m really happy RE8 scored so highly! It really is a master peace in horror gaming! I also disagree with everyone saying TLOU is not a horror game! Have you seen those clickers?! Terrifying! Is boredom considered scary? otherwise half this list confuses me. I'd also add RE Revelations 2 and Amnesia Collection! Also, do you guys remember Thief? While not exactly a horror game, it had some scary moments, overall a mediocre game but I had quite some fun with it. @Tasuki sorry i got carried away. it wont happen again. Good list overall, although I question the inclusion of The Last of Us and Inside. They both have disturbing moments, but both are more in the "psychological thriller/drama" camp than horror. Also, assuming you are writing this list for someone who is looking for recommendations on horror games, I'm really confused why you included PT - a game you cannot download anymore. That entry is useless for someone who actually wants to, ya know, play a horror game. Like I said, good list. I'd have thrown out those three and included Evil Within 2, Soma, The Amnesia Collection, and/or one of the lesser know Resident Evil games. The scariest games on PlayStation 4, TLOU on No. 1 WTF? I agree that TLOU is one of the best games ever made but TLOU didn't even had one scary moment and this list is about which game is the most scariest right? Lol a piece of overhyped trash like TLOU beating Resident Evil 2, Resident Evil 4 and Resident Evil VII is just laughable. EGttR is a bizarre inclusion. And Push Square really needs to play Detention. @IBeAGamer Only you could call The Last of Us "Trash"
Bloodborne is horror game ? no way, it not scare me enough. it remind me of Dark Soul games that why it is similar in gameplay. RE 2, imo, and it's not even close. Agree with those that have already said it, i wouldnt call TLOU a horror game. Thriller/drama yes. RE7, Alien Isolation, and RE2 would be my top 3. I couldn't even finish RE7 in VR, while Alien has the most tense momenta in gaming, and RE2 brings back the good old jump scares and gore. @AdamNovice I've seen plenty of people online call it trash actually. @IBeAGamer Yes but there usually recaptured very quickly. There's a difference from a game been "trash" just because you don't like it. @AdamNovice cool, the game is trash.